There is a new makeup prodigy in town, and he is only ten years old, yes you read that right! 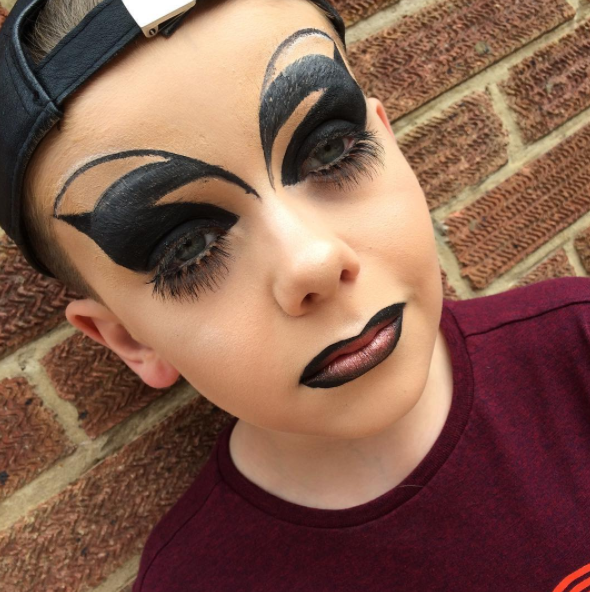 Ten-year-old Jack is turning heads with his unique and innovative makeup styles. Jack blow up back in May when a video was posted of him on Facebook doing a makeup tutorial with the caption 'You walk in to your son doing this, wyd?' The video now has 64 million views with thousands of comments praising Jack for his creative makeup skills. Jack's makeup styles range from high-class glamor to drag queen realness. Ever since Jack's Facebook video went viral, he has a pretty big following on Instagram with 220 thousand followers. From Jack's Instagram, it seems that he is now working with Tatti Lashes, and we are sure that this is just one of the many companies Jack will work with in the future. You can follow Jack on Instagram and YouTube at makeuupbyjack. Tell us which look is your favorite.